A hands on activity for kids, 5 to 12 years. 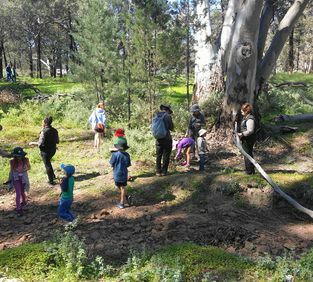 Spend an hour exploring the biodiversity along Wilpena Creek with an Adnyamathanha Guide. Our guides share some of the sights and stories of their country. Learn about animals such as the Emu and make them out of collected materials gathered during the walk. This activity operates during SA school holidays. Ask our friendly staff for the timetable. 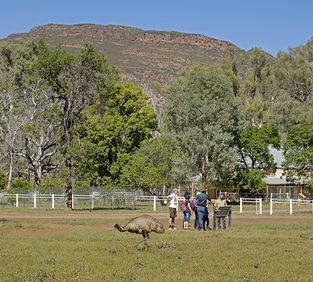 For a fascinating cultural experience, join one of our experienced Yura guides for an informative stroll to Old Wilpena Station, one of South Australia's oldest and best preserved pastoral settlements. Walk along Wilpena Creek past magnificent river red gums with stunning views of Wilpena Pound in the distance. Learn about the landscape and bio-diversity from the perspective of the Adnyamathanha people. An easy to moderate 2km walk.